Modern economies reward activities that extract value rather than create it. This must change to ensure a capitalism that works for us all. 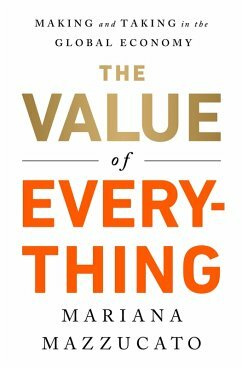 A scathing indictment of our current global financial system, The Value of Everything rigorously scrutinizes the way in which economic value has been accounted and reveals how economic theory has failed to clearly delineate the difference between value creation and value extraction. 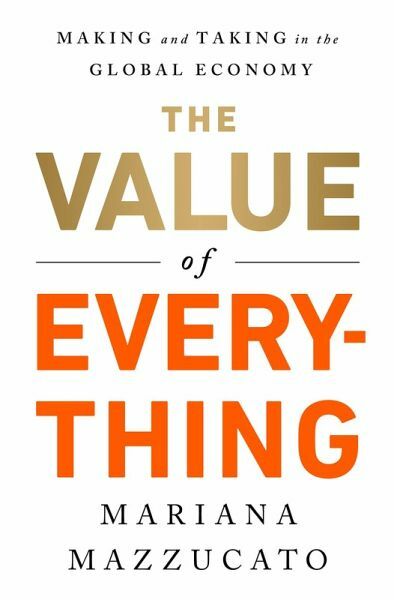 Mariana Mazzucato argues that the increasingly blurry distinction between the two categories has allowed certain actors in the economy to portray themselves as value creators, while in reality they are just moving around existing value or, even worse, destroying it. The book uses case studies-from Silicon Valley to the financial sector to big pharma-to show how the foggy notions of value create confusion between rents and profits, reward extractors and creators, and distort the measurements of growth and GDP. In the process, innovation suffers and inequality rises. The lesson here is urgent and sobering: to rescue our economy from the next inevitable crisis and to foster long-term economic growth, we will need to rethink capitalism, rethink the role of public policy and the importance of the public sector, and redefine how we measure value in our society. Dieser Download kann aus rechtlichen Gründen nur mit Rechnungsadresse in A, B, BG, CZ, D, DK, EW, E, FIN, F, GR, H, I, LT, L, LR, NL, PL, P, R, S, SLO, SK ausgeliefert werden. Mariana Mazzucato is Professor in the Economics of Innovation and Public Value at University College London (UCL), where she is also Founder and Director of the Institute for Innovation and Public Purpose. Her widely published research focuses on the relationship between public policy, innovation, and economic growth and she advises policymakers around the world on how to steer innovation so that it produces growth that is more inclusive and sustainable. She is author of the highly acclaimed book The Entrepreneurial State: Debunking Public vs. Private Sector Myths and co-editor of Rethinking Capitalism: Economics and Policy for Sustainable and Inclusive Growth. She is winner of the 2014 New Statesman SPERI Prize in Political Economy, the 2015 Hans-Matthöfer-Preis and the 2018 Leontief Prize for Advancing the Frontiers of Economic Thought. She was named as one of the 'three most important thinkers about innovation' in New Republic. One of the most incisive economic books in years.